The Bay Ridge United Methodist Church is in contract with a developer, with a closing imminent, but that’s not stopping local preservationists from trying to save the crumbling 108-year-old structure from the wrecking ball. They are now attempting to have the church fast-tracked through the city landmarking process so the developer, who plans to build condos in its place, would be barred from ever altering its distinct, green façade. 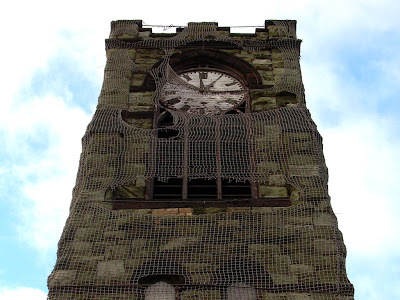 But the so-called “Green Church” certainly wasn’t listed at $12 million so the buyer could be saddled with high maintenance fees and an estimated $3 million to repair the building’s deteriorating clock tower, which is made of a rare serpentine stone. The property was listed as a development parcel, “a prime corner on highly visible Fourth Avenue,” with 85,500 buildable square feet.